Nowadays copper base utensils are becoming the new trend, leaving aside the wooden or non-stick ones! Not only because they look trendy with the orange-brownish tinge, but because of the excellent physical properties! Copper is the best conductor of heat which allows faster cooking with improved frying, boiling or stirring as compared to that on steel or aluminum. Copper heats five times faster than iron and about twenty times faster than stainless steel, suggests experts. Copper allows the heat to spread evenly across the cooking pans or pots for fine cooking experience. Professional chefs often prefer copper base utensils, especially for roasting and cooking. It is safe to use with minimal scorching risk as well as efficient energy saving. Copper is antibacterial in nature, as no micro-organisms can survive on copper. 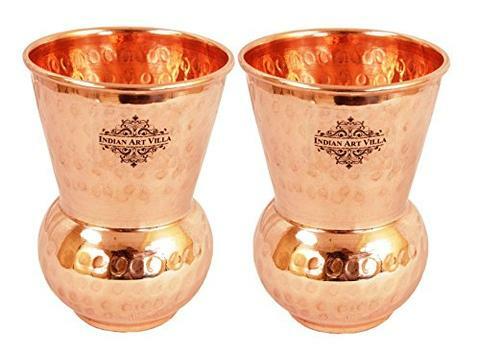 Copper Glass Tumbler Drinkware Set – Offer drinks to the guests with antique design copper tumbler drinkware. It is round hammer glass shaped with dots all over for a royal touch. Consuming water regularly in copper containers is said to induce better health with the antibacterial property. These are available in sets of 2s and 6s. 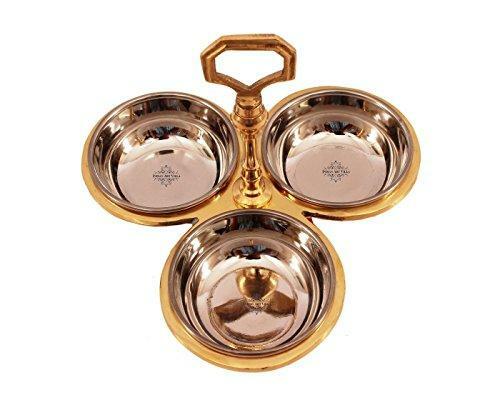 Steel Copper Punjabi Handi Bowl Serve ware and table ware – The Handi is ideal for storing and serving purposes. 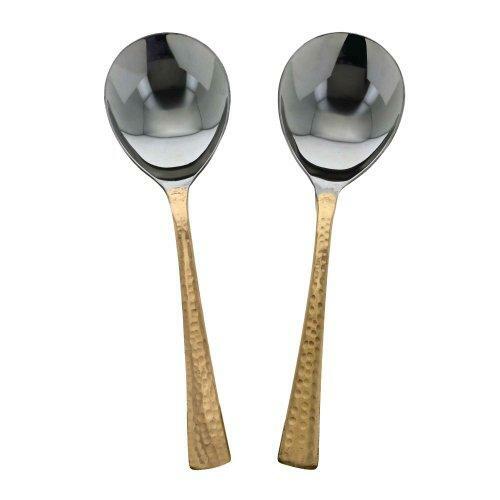 It is made from steel copper which ensures the serve ware is absolutely durable. The Handi comes with a bell shaped lid with dotted designs, giving it the royal look from history. 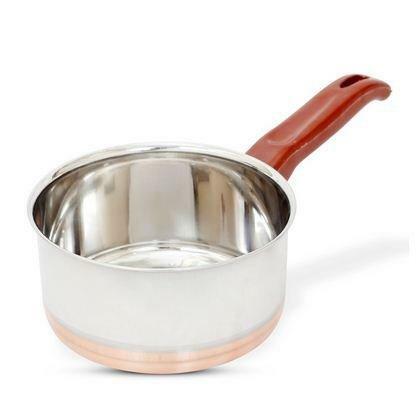 Copper Frying Pan – It comes with a flat copper base, which ensures its perfect for cooking on gas stoves and induction. With copper base, frying is definitely faster and it also means that the oil is evenly spread. Steel Copper Pickle Bowl set of 3 – There are 3 segments held together with a single handle. These are made from steel copper, for storing pickles and sauces at the dining table. Not only the presence of the copper item adds to the ethnicity and royal touch to your dinner table, but also the pickles remain fresh for long! 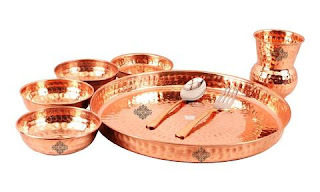 Traditional Design Copper Thali Set – The copper thali set comprises of a copper plate, 4 copper serving bowls, a copper glass and 2 spoons. Copper, being considered an auspicious metal, is often used during family occasions like rice ceremony, pre-wedding rituals and Pooja. These are ideal for such occasions and they look absolutely stunning with the orange-brownish undertone. 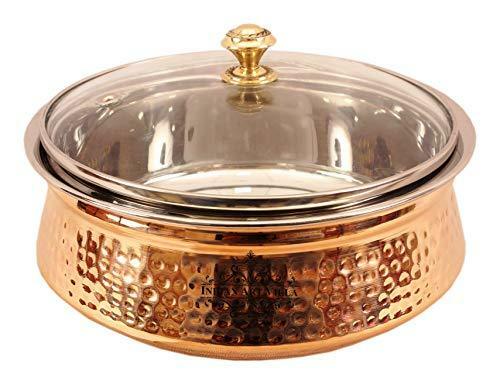 Steel Copper Casserole with Lid – You may store the cooked food in steel copper casserole after they have been dispensed from the cooking bowl itself. On the table place the food items in steel copper casserole for your special guests, they will remain fresh and warm! The transparent lid ensures a clear view of the sumptuous delicacy! 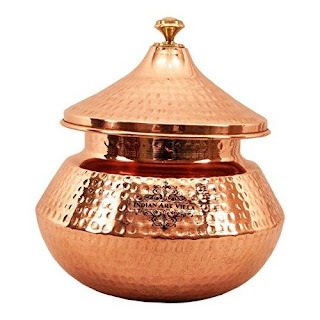 Copper bottom Milk pan – Use the copper base milk/sauce pan, that looks amazing with fine silver shine, for faster and safer boiling – like tea, milk, water, soup etc. These are also considered for cooking and frying as they have more vessel depth as compared to frying pans. 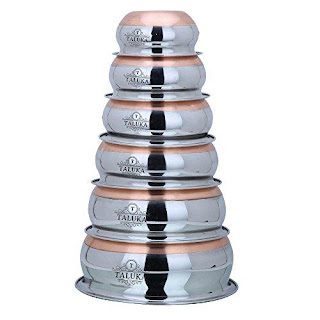 Stainless Steel cookware with copper bottom – The copper bottom ensures evenly spreading of oil and spices amidst the to-be-cooked items. Copper bottom can be used everywhere – gas, stoves or induction. 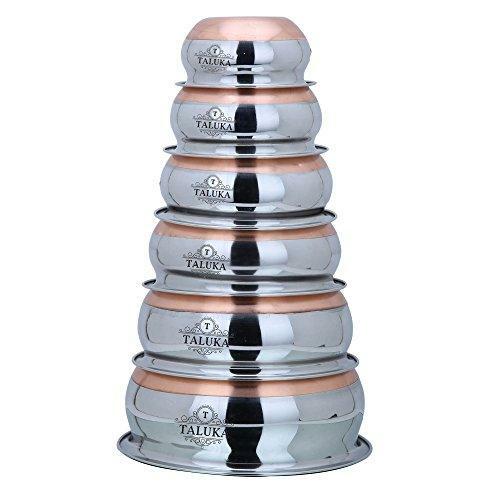 It is ideal for serving dishes like daal, biryani, curries etc. The combination of steel and copper ensures the nutritional qualities as well as the freshness is retained with no bacterial contact. Serving spoon – Large serving spoons for pouring in side dishes or new food items, these steel spoons with copper handles look stunning. The copper handle is absolutely flat and ensures better grip. 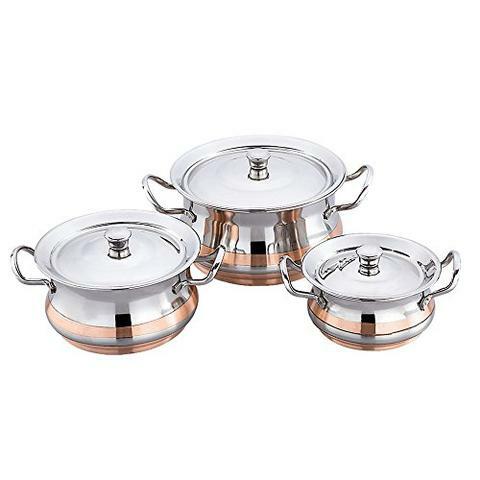 Steel copper handi – These are ideal for storing cooked items safely and for varying kitchen purposes. These come in several sizes for storing various quantities of food – curries, veggies, daal, rice etc. The copper bottom ensures the food retains its freshness and taste. Avoid dishwashers for cleaning copper kitchenware. Oxidise copper items regularly to retain the shine and finish.